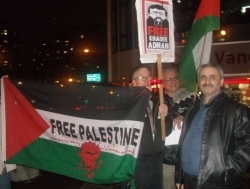 VANCOUVER—Khader Adnan, a Palestinian political prisoner, ended his 66-day hunger strike on February 21, after reaching an agreement with the Israeli government in which he will be released on April 17, four months after he was first detained. During his strike, Adnan lost about one-third of his body weight and put his life in danger, according to a doctor who examined him last week on behalf of Physicians for Human Rights. 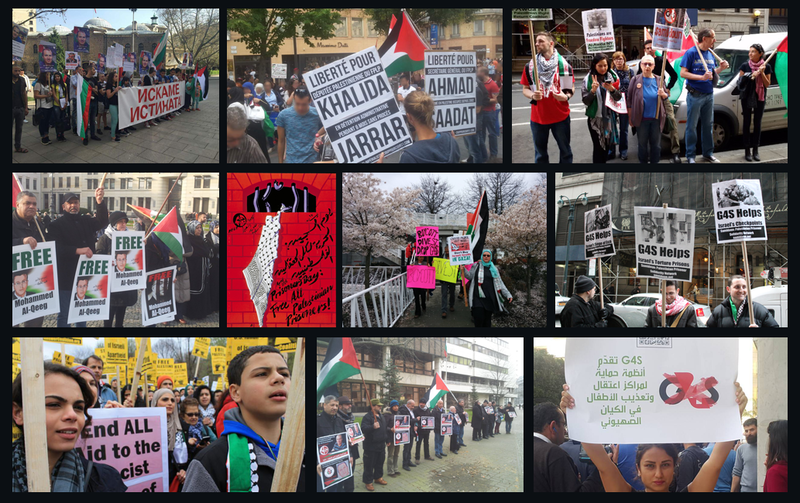 There was next to no mention of Adnan’s strike in Canadian media, though, according to Vancouver Palestine activists who held a vigil and picket at the CBC building in downtown Vancouver on February 16. The activists were calling for CBC to end its silence about his case. Activists from a number of Vancouver-based organizations, including the Boycott Israeli Apartheid Campaign, Canada Palestine Association, Canadian Boat to Gaza, Independent Jewish Voices, Seriously Free Speech, Samidoun Palestinian Prisoner Solidarity Network, and others joined the picket, where protesters distributed flyers informing the public about Khader Adnan’s case, held signs with his image and candles honoring his struggle and sacrifice. Khader Adnan is a Palestinian political activist, baker, husband and father, and was put into administrative detention by the Israeli occupation military forces. His hunger strike was undertaken to demand the end of administrative detention in Palestine. Administrative detention is detention without charge, based only on secret evidence, indefinitely renewable by Israeli military judges. Amnesty International and Human Rights Watch had also called for Khader Adnan to be charged or released. Thousands of people around the world called for his release. In Palestine, dozens were injured at protests calling for his release, where they were attacked with tear gas and rubber bullets. Despite those calls, domestically and internationally, an Israeli military court of appeal upheld Khader’s administrative detention as late as Monday, Feb. 20. That was before Khader struck the agreement for his release in April. He has still not been charged with any crime. Charlotte Kates is a Palestine solidarity activist with the Boycott Israeli Apartheid Campaign and Samidoun Palestinian Prisoner Solidarity Network in Vancouver, unceded Coast Salish territories. This article was originally published by the VMC. Take action today for Hana al-Shalabi - administrative detainee and hunger striker!